Home » Career » Honored as Lloyd Mayer Scholar! Honored as Lloyd Mayer Scholar! 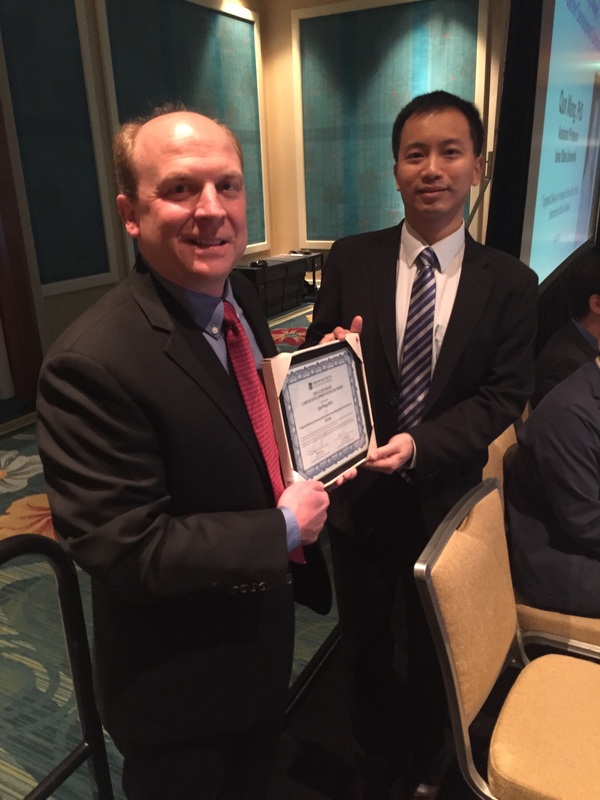 Dr. Wang was honored as the first Lloyd Mayer Scholar in the 2015 Advances in Inflammatory Bowel Diseases (AIBD) Conference at Orlando, FL. This award is in honor of Lloyd Mayer, MD (1952-2013), a visionary leader and brilliant scientist whose life was dedicated to finding cures for patients with IBD and improving the quality of life of those suffering from these diseases. This Lloyd Mayer Scholarship is established to recognize an exceptional early career scientist who emulates Dr. Mayer’s passion for innovative research in studying IBD immunology and mucosal health, as well as his commitment to fostering a robust IBD research community through leadership and collaboration. Congratulations! By qunwanglab in Career on December 22, 2015 .